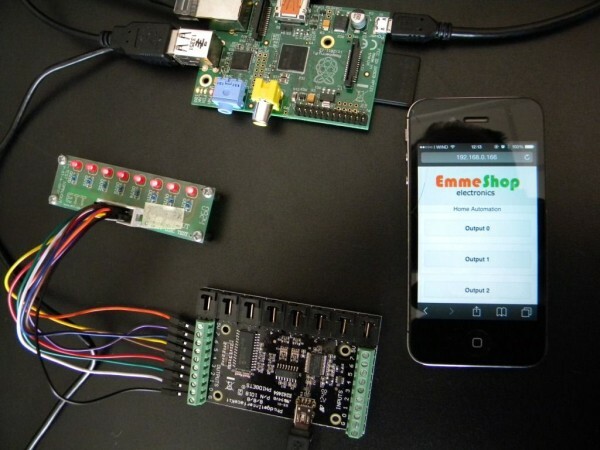 In previous tutorials we used Raspberry Pi to drive Phidgets InterfaceKit. We have also set up a web server on Raspberry. In this tutorial we will use the information gathered to create an Home Automation System managed with a Web Application. 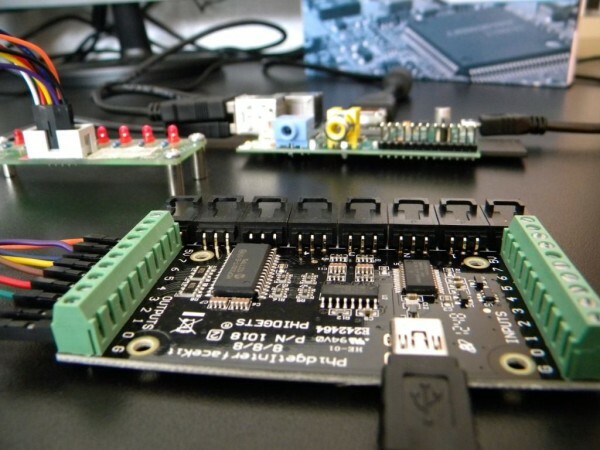 Connect the 1018 to a USB port on Raspberry; the leds to the digital outputs of the 1018 and gnd.